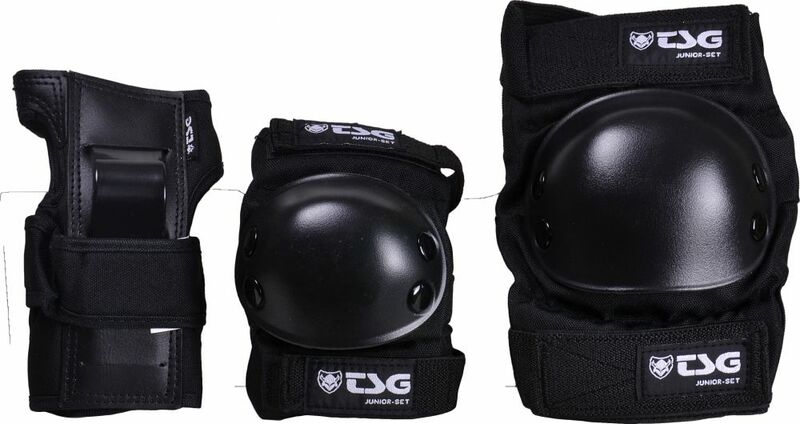 Includes knee and elbow pads and wrist guards for beginners. 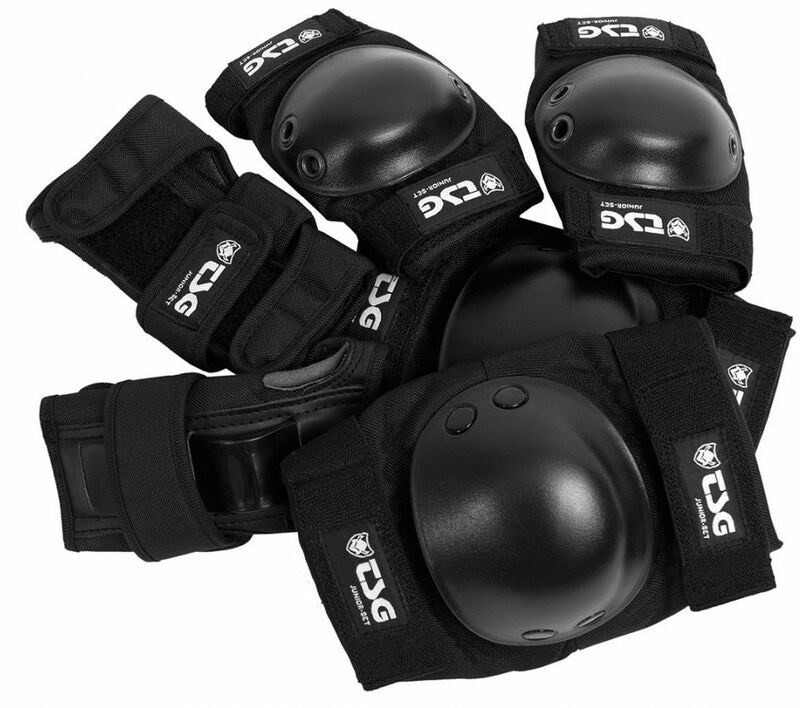 Elbow and knee pads come with EVA cup foam and PE caps provide protection against impacts and abrasions. 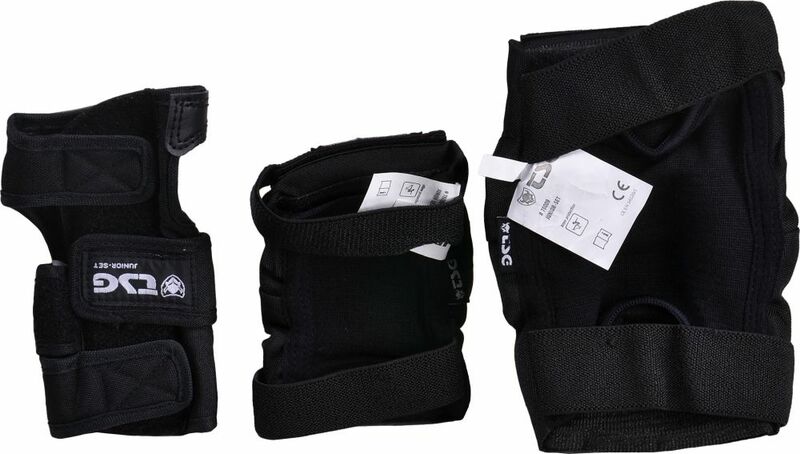 The wrist guard stabilises hand and wrist with 3 velcro straps and palm splint.